For if there is no resurrection, let us eat and drink, let us pursue a life of pleasure and enjoyment. If there is no resurrection, wherein do we differ from the irrational beasts? If there is no resurrection, let us hold the wild beasts of the field happy who have a life free from sorrow. If there is no resurrection, neither is there any God nor Providence, but all things are driven and borne along of themselves. For observe how we see most righteous men suffering hunger and injustice and receiving no help in the present life, while sinners and unjust men abound in riches and every delight. And who in his senses would take this for the work of a just judgment or a wise providence? There must be, therefore, there must be, a resurrection. For God is just and is the rewarder of those who submit patiently to Him. Wherefore if it is the soul alone that engages in the contests of virtue, it is also the soul alone that will receive the crown. And if it were the soul alone that revels in pleasures, it would also be the soul alone that would be justly punished. But since the soul does not pursue either virtue or vice separate from the body, both together will obtain that which is their just due. Rather, the divine Scriptures bears witness that there will be a resurrection of the body. God in truth says to Moses after the flood, "Even as the green herb have I given you all things. But flesh with the life thereof, which is the blood thereof, shall you not eat. And surely your blood of your lives will I require; at the hand of every beast will I require it, and at the hand of every man's brother will I require the life of man. Whoso sheds man's blood, for his blood his own shall be shed, for in the image of God made I man." How will He require the blood of man at the hand of every beast, unless because the bodies of dead men will rise again? For not for man will the beasts die. And again to Moses, "I am the God of Abraham, the God of Isaac and the God of Jacob: God is not the God of the dead" (that is, those who are dead and will be no more), but of the living , whose souls indeed live in His hand,"2 but whose bodies will again come to life through the resurrection. And David, sire of the Divine, says to God, "You take away their breath, they die and return to their dust." See how he speaks about bodies. Then he subjoins this, "You send forth Your Spirit, they are created, and You renew the face of the earth." Further Isaiah says: "The dead shall rise again, and they that are in the graves shall awake. "3 And it is clear that the souls do not lie in the graves, but the bodies. And again, the blessed Ezekiel says: "And it was as I prophesied, and behold a shaking and the bones came together, bone to his bone, each to its own joint: and when I beheld, lo, the sinews came up upon them and the flesh grew and rose up on them and the skin covered them above. "4 And later he teaches how the spirits came back when they were bidden. And divine Daniel also says: "And at that time shall Michael stand up, the great prince which stands for the children of your people, and there shall be a time of trouble, such trouble as there never was since the beginning of the earth. And at that time your people shall be delivered, every one that shall be found written in the book. And many of them that sleep in the dust of the earth shall awake: some to everlasting life and some to shame and everlasting contempt. And they that be wise shall shine as the brightness of the firmament, and out of the multitude of the just shall shine like stars into the ages and beyond." The words, "many of them that sleep in the dust of the earth shall awake," clearly shows that there will be a resurrection of bodies. For no one surely would say that the souls sleep in the dust of the earth. Moreover, even the Lord in the holy Gospels clearly allows that there is a resurrection of the bodies. "For they that are in the graves," He says, "shall hear His voice and shall come forth: they that have done good unto the resurrection of life, and they that have done evil unto the resurrection of damnation. "5 Now no one in his senses would ever say that the souls are in the graves. But it was not only by word, but also by deed, that the Lord revealed the resurrection of the bodies. First He raised up Lazarus, even after he had been dead four days, and was stinking.6 For He did not raise the soul without the body, but the body along with the soul, and not another body but the very one that was corrupt. For how could the resurrection of the dead man have been known or believed if it had not been established by his characteristic properties? But it was in fact to make the divinity of His own nature manifest and to confirm the belief in His own and our resurrection, that He raised up Lazarus who was destined once more to die. And the Lord became Himself the first-fruits of the perfect resurrection that is no longer subject to death. Wherefore also the divine Apostle Paul said: "If the dead rise not, then Christ is not raised. And if Christ be not raised, our faith is vain, we are still in our sins. "7 And, "Now is Christ risen from the dead and become the first-fruits of them that slept, and the first-born from the dead;8 and again, "For if we believe that Jesus died and rose again, even so them also which sleep in Jesus will God bring with Him. "9 "Even so," he said, "as Christ rose again." 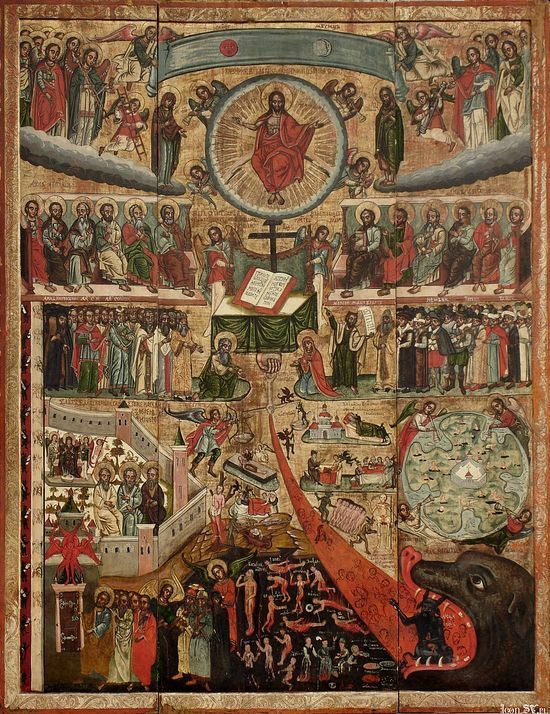 Moreover, that the resurrection of the Lord was the union of uncorrupted body and soul (for it was these that had been divided) is manifest, for He said, "Destroy this temple, and in three days I will raise it up. "10 And the holy Gospel is a trustworthy witness that He spoke of His own body. "Handle Me and see," the Lord said to His own disciples when they were thinking that they saw a spirit, "that it is I Myself, and that I am not changed;11 "for a spirit has not flesh or bones, as you see Me have. And when He had said this He showed them His hands and His side, and stretched them forward for Thomas to touch. "12 Is not this sufficient to establish belief in the resurrection of bodies? Again the divine apostle says, "For this corruptible must put on incorruption, and this mortal must put on immortality. "13 And again: "It is sown in corruption, it is raised in incorruption; it is sown in weakness, it is raised in power; it is sown in dishonor, it is raised in glory; it is sown a natural body (that is to say, crass and mortal), it is raised a spiritual body,14 such as was our Lord's body after the resurrection which passed through closed doors, was unwearying, had no need of food, or sleep, or drink. "For they will be," says the Lord, "as the angels of God:"15 there will no longer be marriage nor procreation of children. The divine apostle, in truth, says, "For our conversation is in heaven, from whence also we look for the Savior, the Lord Jesus, Who shall change our vile body that it may be fashioned like His glorious body.16 Not meaning change into another form (God forbid! ), but rather the change from corruption into incorruption. But someone will say, "How are the dead raised up?" Oh, what disbelief! Oh, what folly! Will He, Who at His solitary will changed earth into body, Who commanded the little drop of seed to grow in the mother's womb and become in the end this varied and manifold organ of the body, not raise up again at His solitary will that which was and is dissolved? "And with what body do they come? "17 Thou fool, if your hardness will not permit you to believe the words of God, at least believe His works. "For that which you sow is not quickened except it die." "And that which you sow, you sow not that body that shall be, but bare grain, it may chance of wheat or of some other grain. But God gives it a body as it has pleased Him, and to every seed his own body." Behold, therefore, how the seed is buried in the furrows as in tombs. Who is it that gives them roots and stalk and leaves and ears and the most delicate beards? Is it not the Maker of the universe? Is it not at the bidding of Him Who has contrived all things? Believe, therefore, in this wise, even that the resurrection of the dead will come to pass at the divine will and sign. For He has power that is able to keep pace with His will. 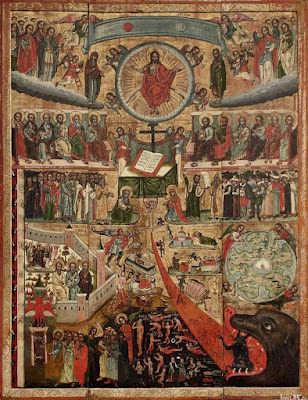 We shall therefore rise again, our souls being once more united with our bodies, now made incorruptible and having put off corruption, and we shall stand beside the awful judgment-seat of Christ, and the devil and his demons and the man that is his, that is the Antichrist and the impious and the sinful, will be given over to everlasting fire, not material fire like our fire, but such fire as God would know. But those who have done good will shine forth as the sun with the angels into life eternal, with our Lord Jesus Christ, ever seeing Him and being in His sight and deriving unceasing joy from Him, praising Him with the Father and the Holy Spirit throughout the limitless ages of ages. Amen. 14) 1 Corinthians 15:42, 44. From Exact Exposition of the Orthodox Faith.